Dividends are simultaneously one of the most popular and overlooked investment opportunities available. They are often overlooked because they are not some fancy new exotic high risk high reward investment method. Dividends won't make your financial advisor lots of money, but they will if done right help get you closer to your financial goal. 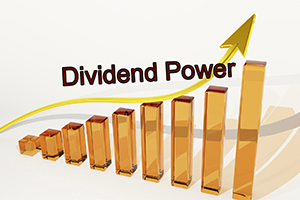 Dividends are payments issued to holders of stocks both common and preferred. They are a companies way of rewarding it's investors for sticking with them. They are scheduled payments, usually quarterly, that reflect a companies financial health. In fact large companies that are doing well should a lot a percentage of their cash on hand to pay people like you and me. See stock holders are partial owners of companies, however small that % may be. Owners of companies deserve compensation for their risk, and solid companies can afford to pay their owners dividends to help negate that risk. Let's say you own 1 share of (AT&T) purchased at $40.00, and it pays a 4% dividend or $1.60 every year. If you hold that stock for 10 years they will have paid you $16, that is a 40% gain guaranteed. That gain is unrelated to any gain made on the stock market. Dividends provide a sort of stackable safety net. Are Dividends Right For You? If you are a day trader that can't hold onto a stock for more than a few days or weeks then no dividends are not right for you. If you are looking for a long term proven method for generating wealth and you are able to regularly invest into the market then yes, dividend investing may be something you want to learn more about.